Adaptive reuse of a former historic St. Margaret’s Catholic Church complex to accommodate BCCS’s expanding enrollment. 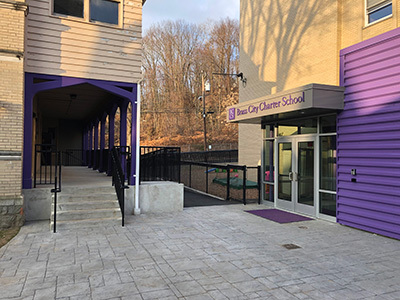 The project included conversion of the 7,500 SF rectory (early childhood learning center), 6,200 SF convent (administration), and 20,000 SF church (gymnasium, music, and art) and expansion/renovation of the 26,000 SF school building. Creation of a safe, secure school campus in an urban setting was also a major factor with site modifications to create safe playgrounds and gathering spaces, and remove vehicular traffic from between buildings. edm provided building and site review assessment and design docs to the City of Springfield to create a food services support facility for the Springfield Public Schools. The project’s goal is to produce and distribute 100,000 meals a day over two work shifts. 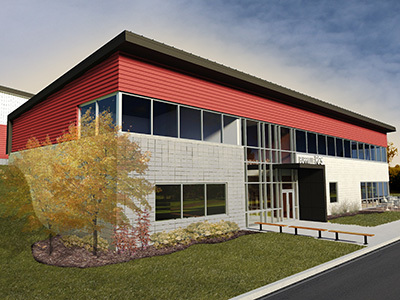 This project included replacement of 26,000 SF of built-up roofing with a code-complaint single-ply membrane system and 30,000 SF of single-ply membrane metal roof retrofit system to cover an existing standing seam steel roof. In addition, all doors and windows in the building were replaced with new systems meeting the 2015 International Energy Code. edm is providing architectural and engineering services for the renovation of an approximately 5,000 SF dining facility. 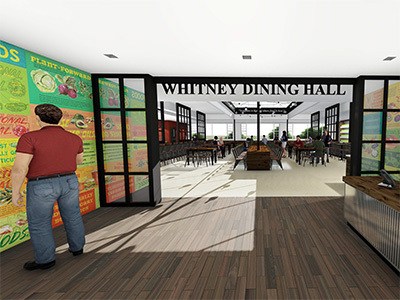 The facility includes the dining area adjacent to the main dining hall and the main entrance corridor directly adjacent to the main dining hall. edm will replace the roof directly over the main dining area and the reconfiguration of the HVAC in the dining hall area.